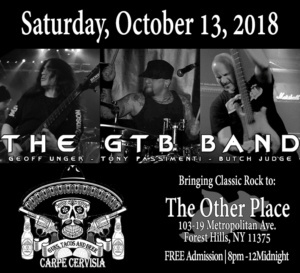 10/13/2018: The GTB Band at The Other Place Forest Hills NY. GTB-AMP Band. Rehearsal Tape of us doing Rainbow – Kill The King. The GTB Band playing Frankenstein Live at the Praetorians Fundraiser on 5/7/2017.